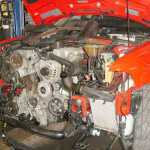 At Autobahn Performance in Ft. Lauderdale Florida we have done hundreds of timing belt services on Audis. We see some shops replace the belt but neglect to replace the belt tensioner, roller, or water pump. Failure of any of these components can cause the belt to break, causing major internal engine damage. Most Audi engines are interference engines and will break and bend valves if the timing belt breaks. 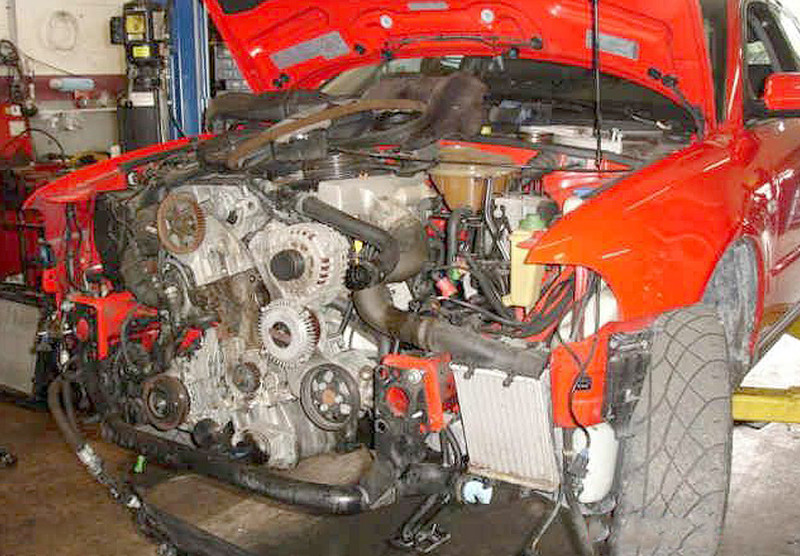 At Autobahn Performance in Oakland Park (north Ft. Lauderdale), we use only high-quality replacement parts and dealer-trained technicians to perform a timing belt service on your vehicle. Belt replacement intervals change year to year and model to model. The belts are made of rubber and will deteriorate regardless of the miles put on them. It is even worse for a belt to be rarely used than if it were to be used regularly. Timing belts should be replaced every 5 to 8 years, even if the vehicle has low mileage.